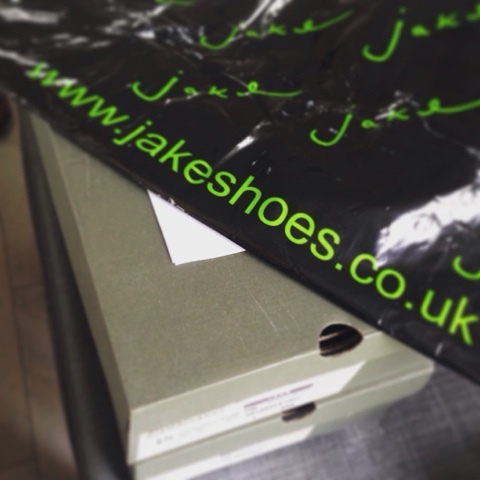 I was recently approached by the team behind Jake Shoes, a family run shoe store celebrating 40 years in business. They stock a fantastic range of brands in-store in their Manchester and Stockport shops but for the rest of us outside of those areas - they have one hell of a website - a mecca for shoe lovers everywhere! 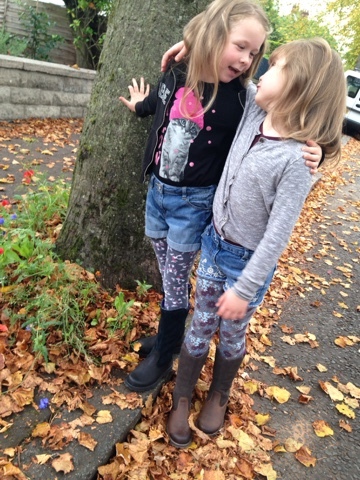 Keen to spread the word about their online offering, they asked would my twins (by any chance) like a pair of winter boots each? What an amazing treat! 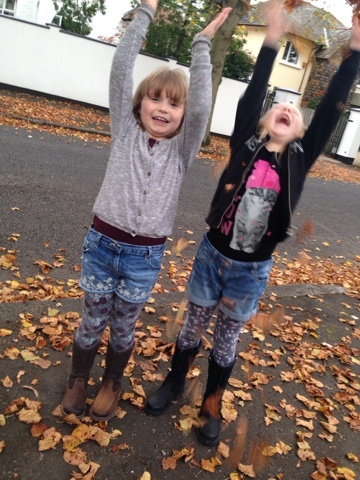 After much deliberation (and mum steering them away from the less school-appropriate options) the girls agreed on some Timberland Skyhaven long boots. But ever wanting to be different, they chose different colours - and just a few days after our order went in, they arrived. So it was such a bonus when they arrived and both pairs fitted perfectly. Even more of a bonus was the fact that they both LOVED them! They were straight on their feet and we dashed out to make the most of the light that was left. 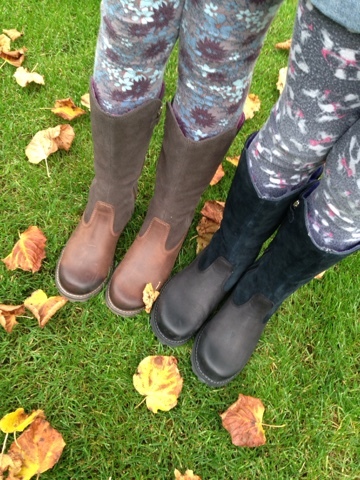 With a well grooved sole, these boots are going to be brilliant for colder days. 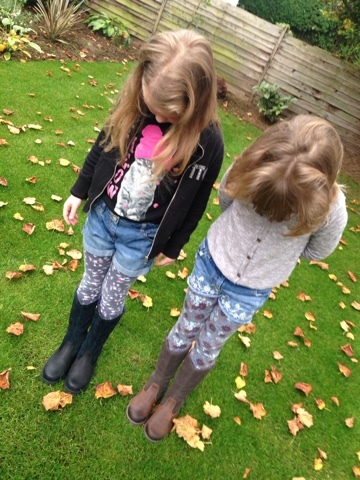 They're rugged but not overly so, meaning the girls are happy to wear them with skirts and dresses as well as leggings and jeans. Do pop over to take a look at the Jake Shoes website and give them some SGS love on their Facebook page - I think you'll find the whole family well catered for. 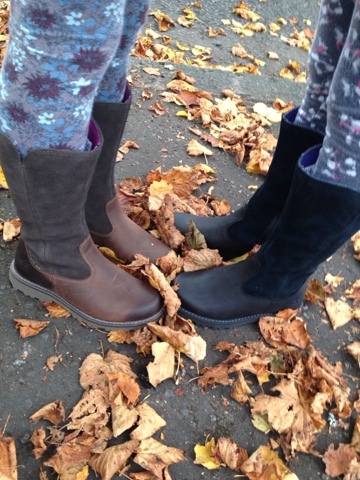 Not only do they have a great selection of kids winter boots and shoes, there's a fab range of ladies' and mens' footwear too with well known brands like Ugg, Hush Puppies, Birkenstock and Converse, to mention just a few and it's good to know you're supporting a family run UK business too. Disclaimer: I have to extend a huge thank you to the Jake Shoes team for supplying these boots to the girls free of charge. It makes a huge difference to the household budget as it's no fun buying multiple pairs of leather boots so close to Christmas. I was not obliged to blog about them, nor was I paid to do so. Thank you for supporting the brands that support this blog. These look fantastic, I'll take a look at their website as I'm after decent winter boots for Alfie that don't fall apart after 3 weeks!